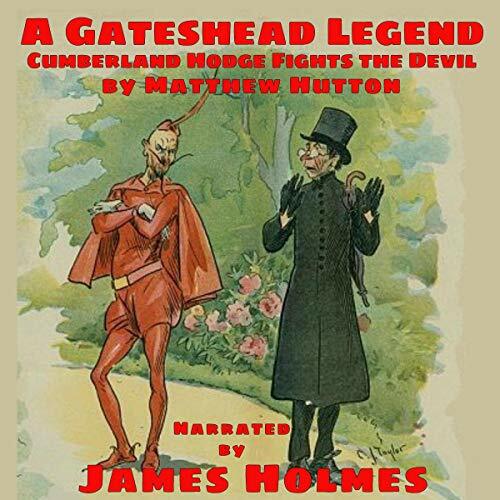 This strange tale, told in verse, reflects Satan's disappointment at the people of Gateshead for turning their backs on him in favor of the somewhat eccentric Wesleyan Methodist minister by the name of Hodgson Casson. The Great Fight at Gateshead Between Cumberland Hodge and Brimstone Harry was first told in print and sold by W. & T. Fordyce, Newcastle, circa 1836. This version has been cleaned up, replacing the "f" of the old text with "s", making it more understandable and accessible for listeners of all ages. There is also a bit of background on Hodgson Casson to help create a better understanding of one of the most colorful characters in Tyneside's history.